The town council says that work is to start on the utility area in the ladies’ public toilets at the town hall “within the next few days”. This is to stop an ongoing flooding problem, which occurs when the town has spells of heavy rain. It is expected that the work will not take long to complete. 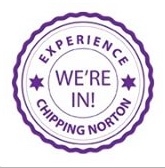 This entry was posted in local services, news and tagged Chipping Norton, flooding, toilets, Town council, Town Hall. Bookmark the permalink.